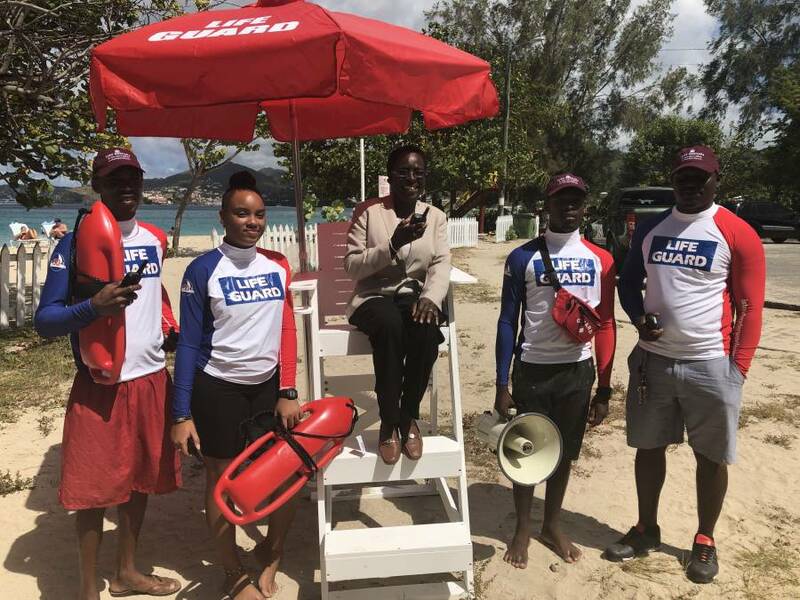 4 lifeguards have been deployed on the world famous Grand Anse Beach as the Ministry of Tourism answers the call for more lifeguards to be stationed there. This move was prompted by last year’s tragedy where 3-year-old Caleb Fraser, from Grand Anse Valley, lost his life. 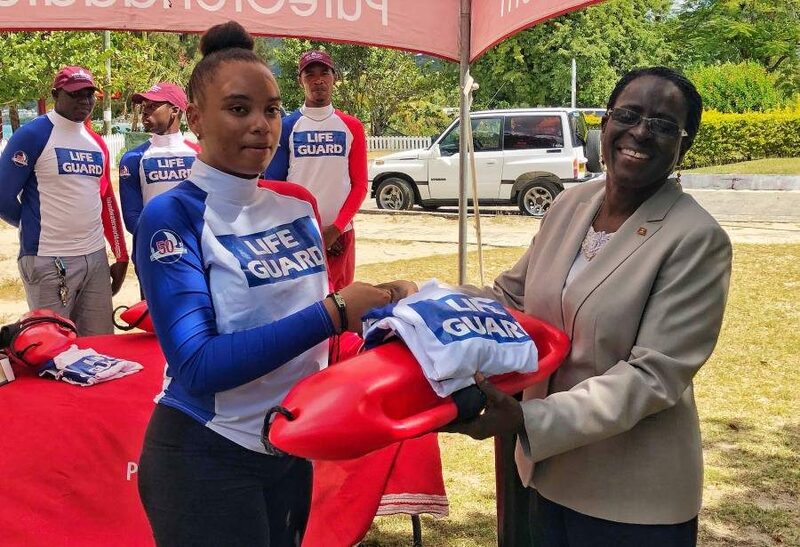 As part of their 6-month training, lifeguards are certified in administering first aid and are able to respond to emergency situations to swimmers who get into trouble while in the water anywhere along the 2-mile long stretch of beach. “We are well aware that we have lost lives over the years in these very seemingly quiet waters. If you do not know how to navigate or know how to swim, then bad things can happen in a very good place, therefore, we have to be prepared. Fortunately, it is not a common occurrence, but the loss of one life is one life too many and therefore the ministry has learned its lesson,” said Minister for Tourism Dr Clarice Modeste Curwen. The lifeguards are Sherman Bailey, Teon John, Alicia Persue and Lawrey George. Two other lifeguards are stationed at Bathway Beach.